Preppin for the start of the year - Helping my friends! I wanted to share what I do at my back to school night at my school. I have had a bunch of questions on my instagram about how I set up, and get things done. I am happy to say that I get 10000 scholastic points each year because of one of the forms that I use. I also have very few questions or concerns because of how organized I am. 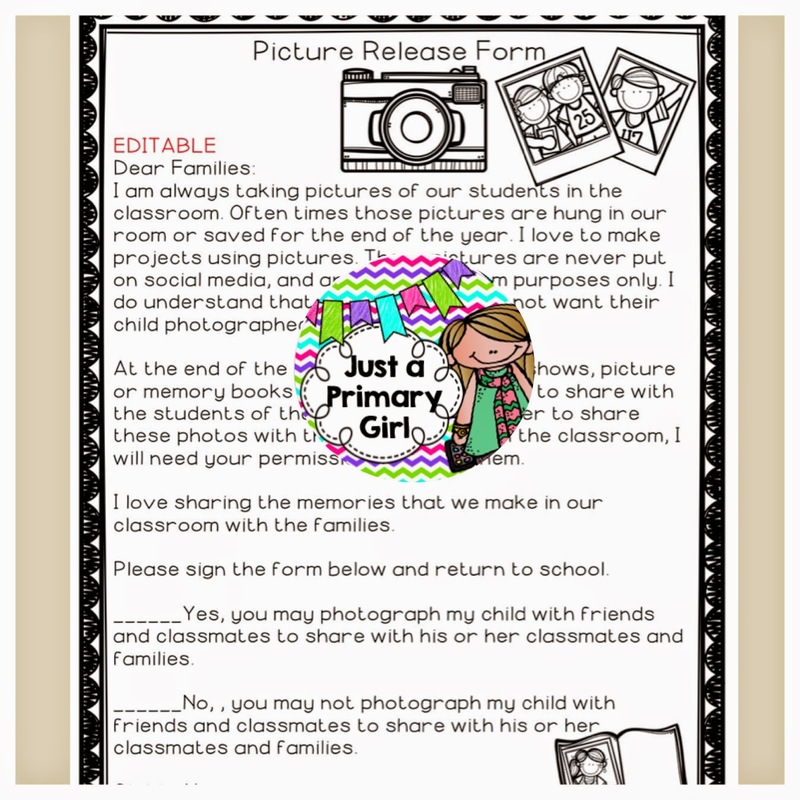 On July 2ng, this blog post will also be featured over at My Carolina classroom! 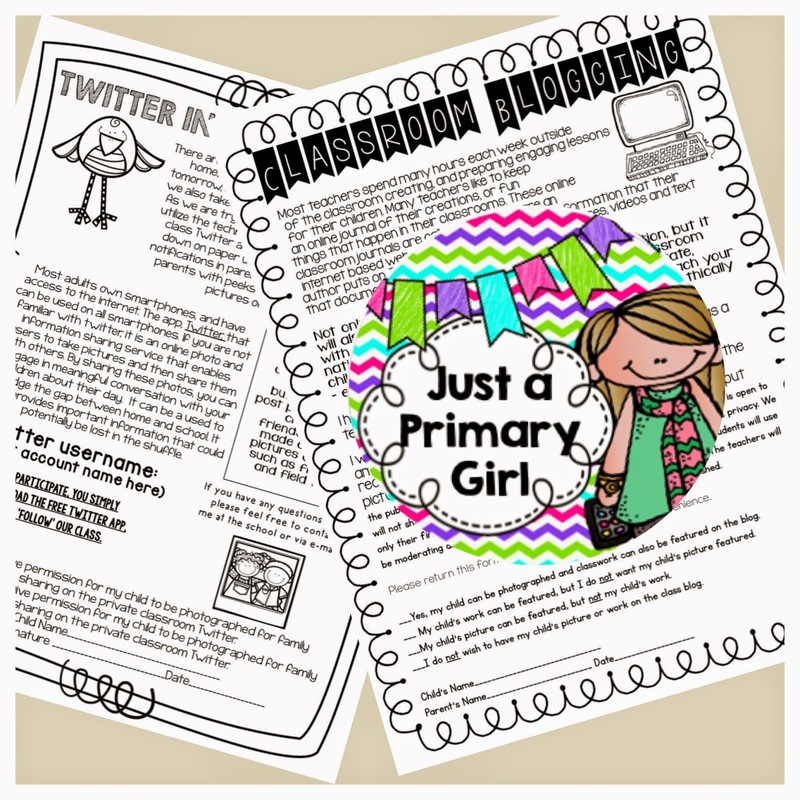 Come on over and join me and to peek around at my friends new blog! In my classroom, I try to be organized. Not just on the eye view but actually when you look deeper into things. If you open a space that looks organized on the outside, I want it organized on the inside too. In order to have a smooth start of the year, I need my parents to be on board with everything I present. First impressions go a long way and it really sets the mood for the year. If I'm organized and look well prepared, we start off with a lot of trust and certainty and I'm able to let them feel confident they have the right teacher. First, when parents come in, they should feel guided and know what's going to happen while they are here for 40 minutes. There are always going to be early arrivals, stragglers, and lingerers. Be prepared for this. I have clear frames that were given to me, but I have seen them 5 for $5 at walmart, that have directions, starting at the door with the sign in sheet. It has directions on where to go next. I also have a checklist and bucket of pens there as well. 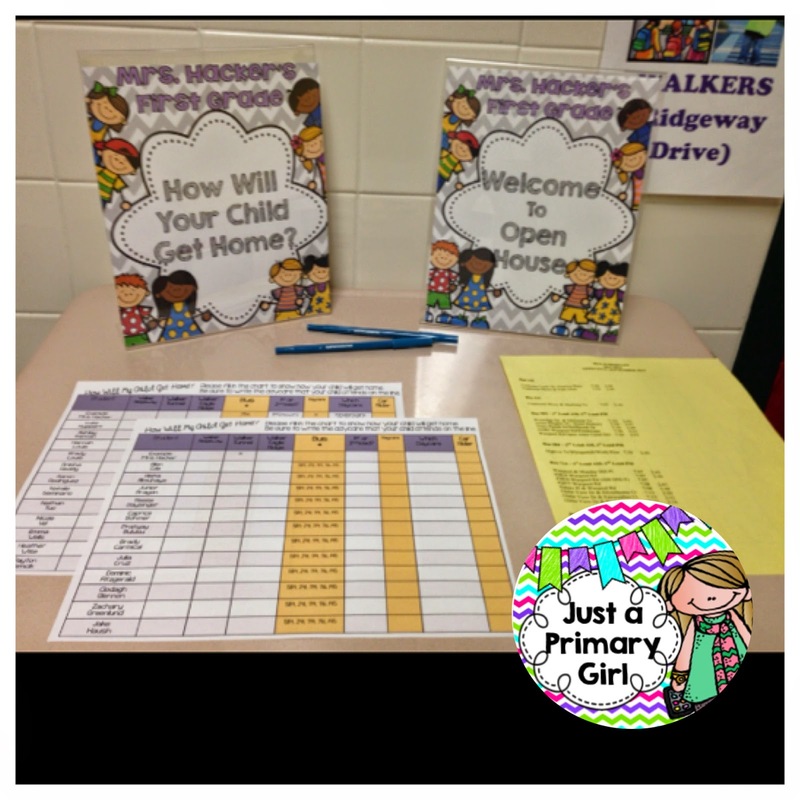 This lets parents know right at the jump not to stray into parent conferences and that they have a job to do. On my checklist are all the things I need from them before they leave in our short time together. We have many forms we need and if I send them home, they will slowly trickle in. I'm a get it done and in kind of girl. What are the forms I have them fill out? Pg movie release. We teach penguins and Hawaii and I like to show Happy Feet and Lilo and Stitch. These are PG movies, so I ask permission right away so I don't need to worry. I also do a picture form. Asking if its ok to photograph their child. This year, I'm doing an instagram account for parents only. So ill have that included in my form. All about you form where they tell me some things about their child that maybe I won't see at first. It's a nice I e breaker and I can see quickly who my over the top parents are too. It prepares me for how conferences may go. 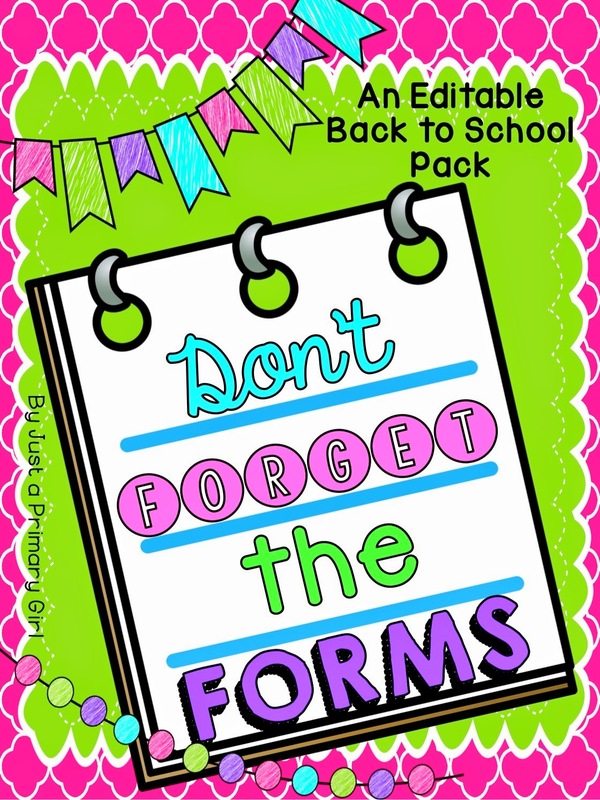 All the forms are in a folder with their child's name on them. That way if they don't come or don't hand them in, they come back organized and I just put the folder right in my cabinet. Things they need to do for me. I have one for each of the volunteer jobs I have. I am in a very big volunteer school. Last year, I had 16 volunteers!! 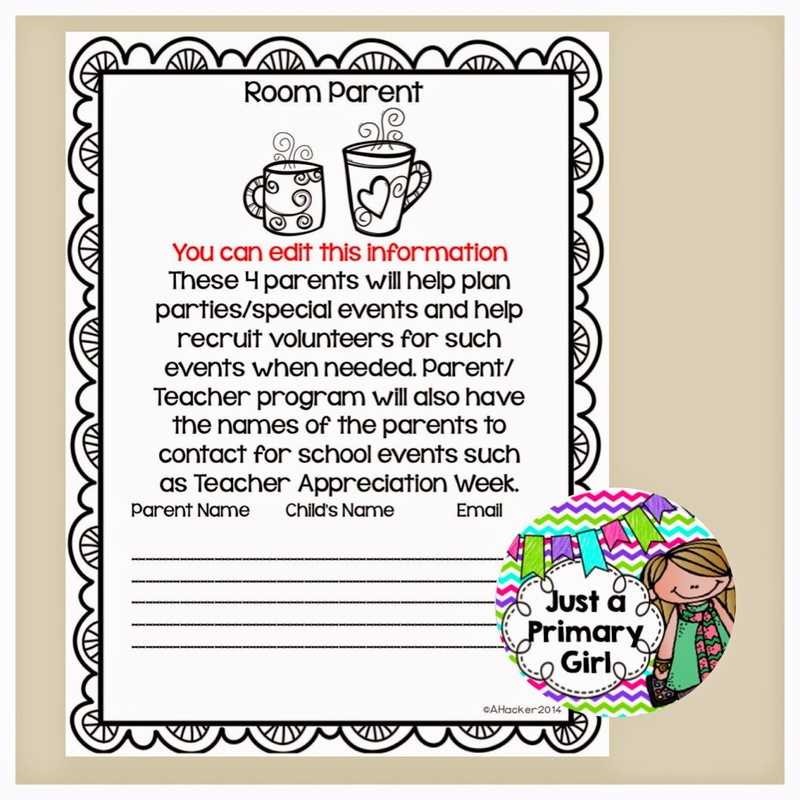 4 room moms to plan parties, organize teacher appreciation and field day. Thursday folder mom- I take as many as want to come in. They stuff our weekly school folder with all the "school mail" I then make a schedule and rotate them all year. If they can't make it, they call each other to swap. It's awesome. Friday copy moms. I try to only take 4 so that I can know they won't mess up and I can trust them. I use my copy forms, but then I have a time these volunteers come back and I show them the copier and how to use it. Monday math volunteer - they come in early during morning work and either do flash cards, math games or help with my behavior reward system based off behavior and clip chart. Open volunteer (this is a favorite) this is my on call volunteer. If someone no shows or cancels, I can call in a pinch and they can arrive in 20 minutes. This is usually a stay at home mom and has been a lifesaver for me!! Lunch volunteer. The first week is nuts. The kids don't know their lunch numbers, they have never eaten in the cafeteria and I need MY lunch kid free. These moms volunteer to each come in for the lunch each day to help them get situated. 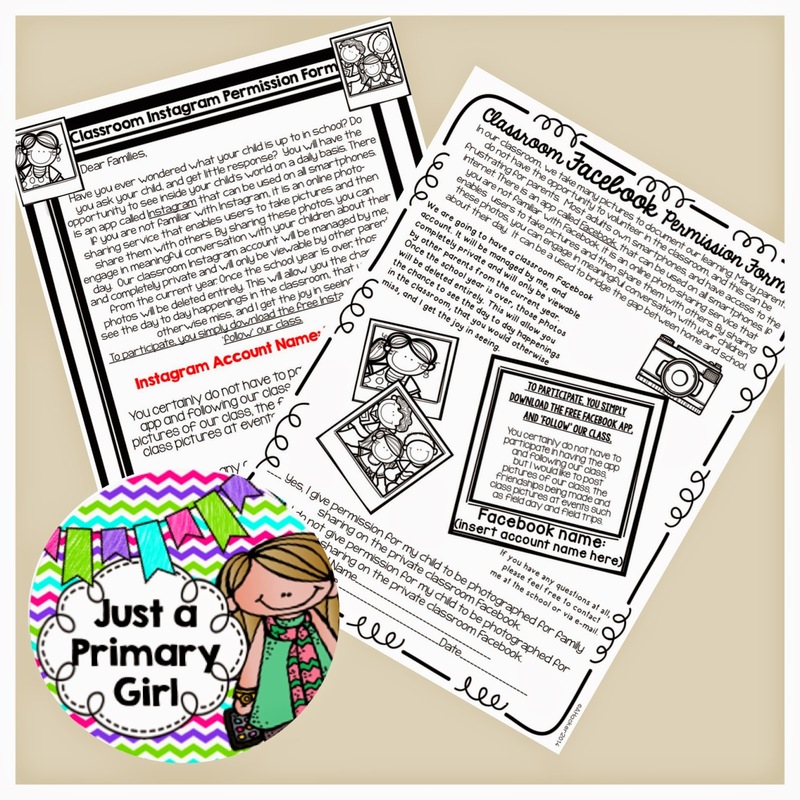 Home projects - putting scholastic orders together, sharpening pencils, cutting out lamination, putting booklets together. You name it. Craft helpers- this is once a month we do our hallway bulletin board crafts and I have this parent take down the old, file it in the kids folders and ensure current month has names on and they go up. They also help kids put them together, or cut tissue squares etc. this one gets them INTO my room so it's popular. 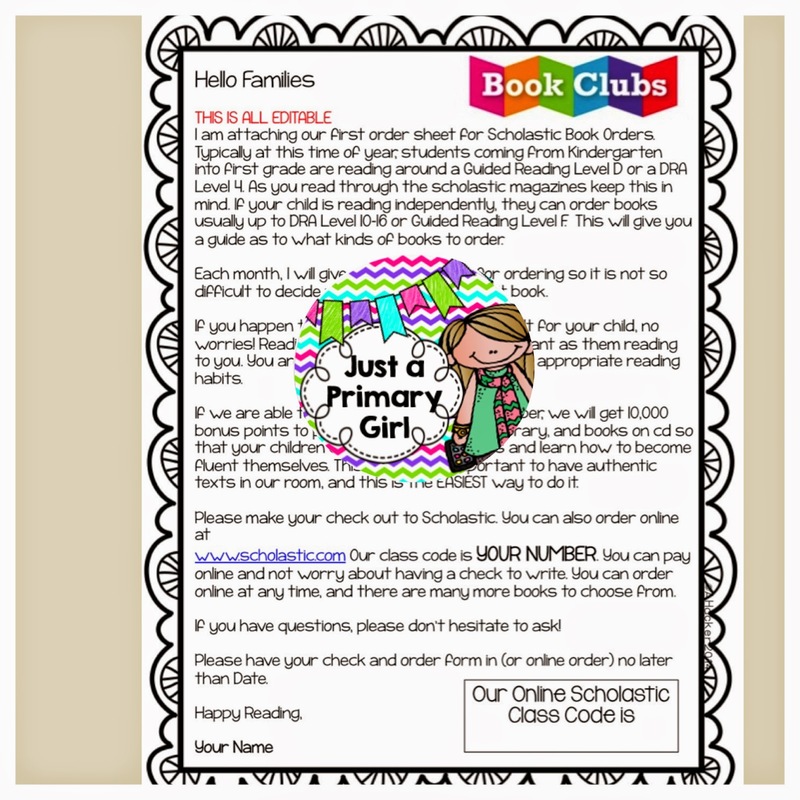 I also have a scholastic form that goes home in order to those awesome points from Scholastic. There hasn't been a year without this form that I didn't get the 10,000 points! Whoot! 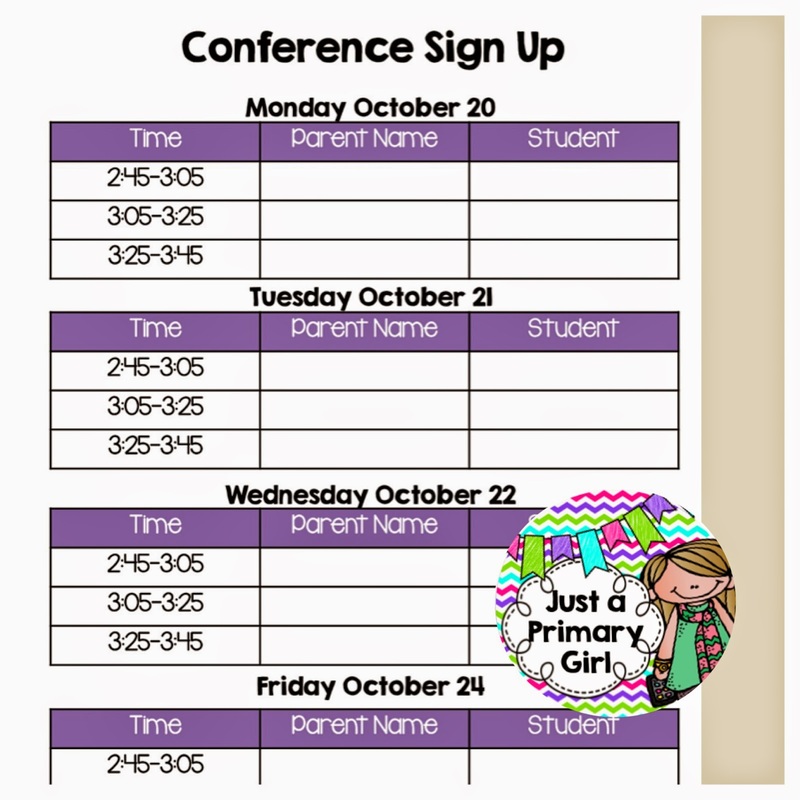 Conference sign ups. I have a calendar out with my 15 minute window sign up sheets. I also give conference reminder forms they can take. That way they have my email and reminder about their time. 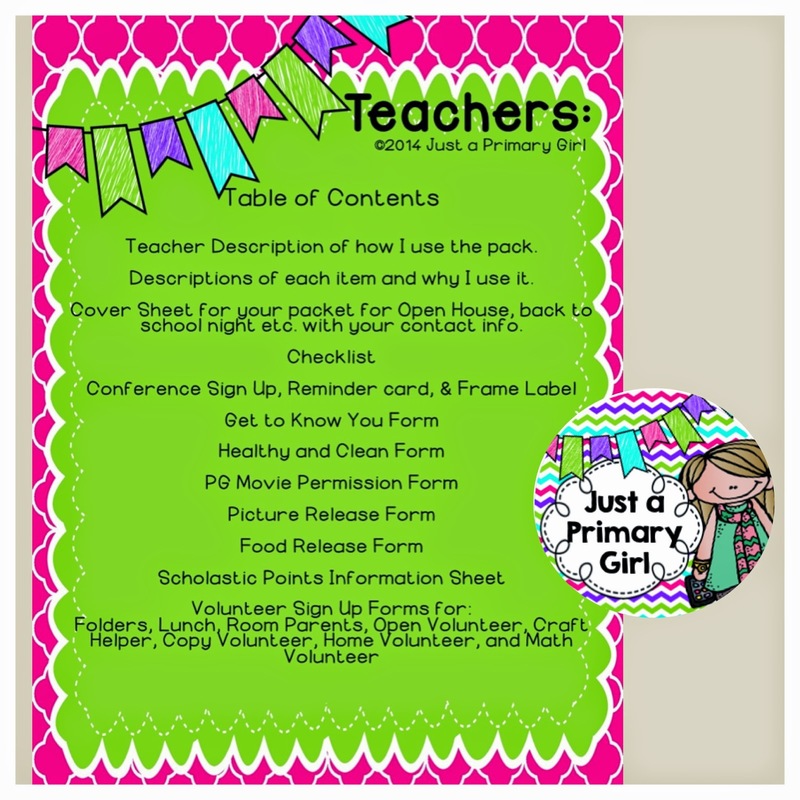 Here is the Table of Contents that has all the forms and items that is included in this pack. If you were on the fence about this pack, I hope this post helped you decide to go for it! Wow, this was a super long post! I hope you are still with me! Please head over to my TPT page to scoop up this pack before it increases to its full price. I will be adding to this pack as I get suggestions too. Leave a comment with your ideas! Be a follower on my bloglovin and tpt as I have many giveaways and free items that follows get exclusively! Unbelievably organised! Great ideas shared - thank you! You are nicely organized!! Thanks for sharing your great ideas!